Published in November 1984, The MacBride Principles contained nine affirmative action proposals aimed at eliminating religious discrimination in the employment practices of United States corporations with subsidiaries in Northern Ireland. The weapon used by the MacBride campaigners was the federal constitution of the United States. States and cities in the Union could pass their own corporate legislation incorporating the MacBride Principles and use their pension fund investments to table shareholder resolutions seeking the Principles’ inclusion in employment policies. Later developments saw their application to US and foreign firms supplying goods and services to states and cities. Using devolved legislation, the MacBride Campaign broke the stranglehold on the discussion of Irish issues maintained by the US, UK and Irish governments in the Congress. It was debated in state legislatures and city councils. 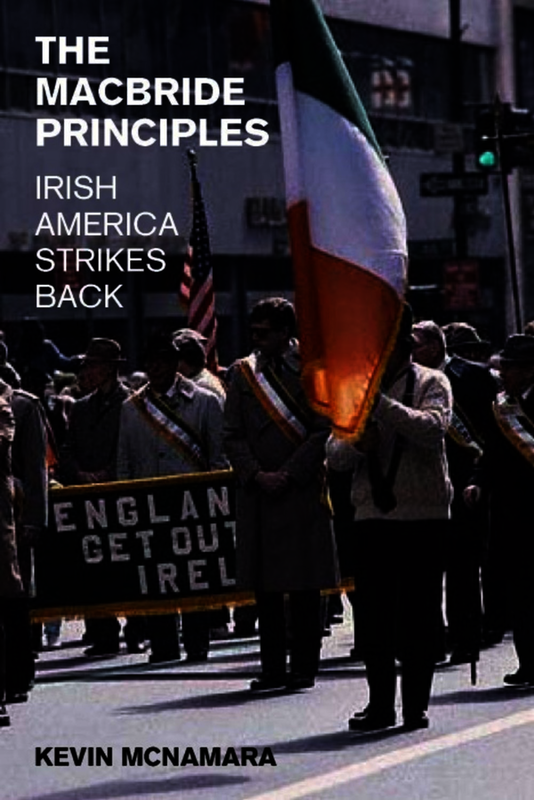 Irish-America was motivated to participate in a nonviolent campaign to achieve social justice in Northern Ireland. Supported by the United States government, there was a fierce reaction by the British government to the Principles. Its attempts to suppress them were unsuccessful. Using interviews with key personalities involved and hitherto unpublished and inaccessible archives of the Department of Foreign Affairs, Dublin, and papers obtained using the Freedom of Information Acts of the United States the United Kingdom, the evolution of the McBride Campaign is mapped out in full by Kevin McNamara, who brings particular insight through is role as a British Member of Parliament and former Shadow Secretary of State for Northern Ireland. This is a story that needed to be told and it is well told here. It is written with verve and some passion and with incredible insider knowledge. It covers an often forgotten side of the role of the United States in the Irish peace process and it brings into the open many of the actors ignored in the conflict. In short, it closes an important gap in the literature and makes an important contribution to the British/Irish/ US dimension, to the peace process industry, and to the literature on human rights. Dr Kevin McNamara was for forty years a Member of the British Parliament and held several key appointments, including Shadow Secretary of State for Northern Ireland.